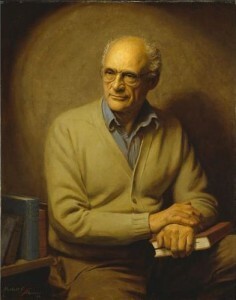 Herbert Abrams was an American painter whose portraits hang in some of the most prestigious institutions in the country. Known for his use of light and sharp contrasts that brought the viewer’s attention to his subjects’ eyes, Abrams painted some of the most important military and political figures of the 20th century. His most famous work was a portrait of President Jimmy Carter commissioned for the White House collection in Washington, DC. Born the 9th of 10 children to first-generation German immigrants in Greenfield, Massachusetts, Abrams grew up in the Frog Hollow section of Hartford. He studied art at the Norwich Free Academy before serving in World War II as a pilot and flight instructor. After the war, he graduated from the Pratt Institute in Brooklyn and studied at the Art Students League in New York from 1948 until 1953. In 1972, Abrams received a commission to paint a series of portraits of General William C. Westmoreland in the field during the Vietnam War. The five paintings Abrams completed currently reside in the US Army’s Department of Military History. 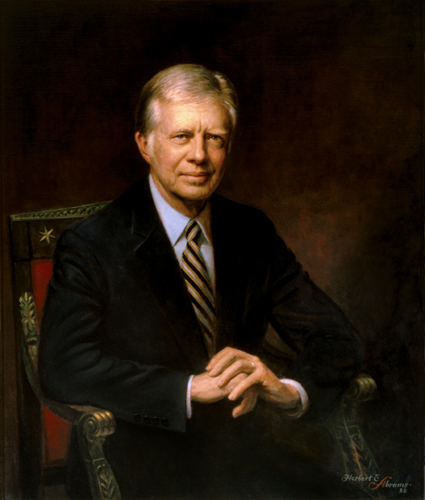 In 1981, with White House curator Clement Conger looking for an artist to paint a portrait of former president Jimmy Carter, Connecticut Representative Toby Moffett recommended Herbert Abrams. Abrams received a phone call from Carter’s secretary requesting photos of his work, and on February 17, 1982, Abrams received a letter informing him of his commission to paint President Carter. Abrams kept the commission a secret while traveling to Georgia three times to meet with the former president. Abrams delivered the painting to Conger on November 29, 1982, after security checked the portrait for explosives and hidden microphones. 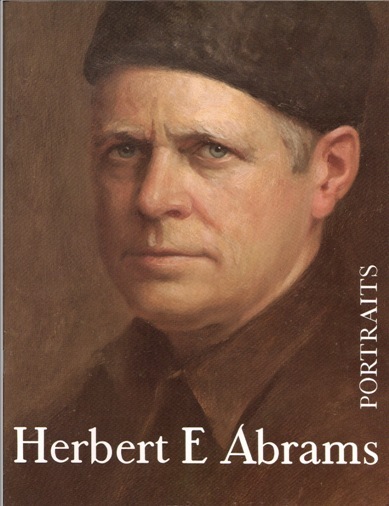 Conger called Abrams the best contemporary portrait artist he ever saw and years later hired Abrams to do his own portrait. Back in the 1950s, Abrams sold portraits off a bench in Greenwich Village, sometimes getting as much as $35 for one of his paintings. By the mid-1990s, while in his 70s, Abrams produced approximately 10 paintings a year for a charge of anywhere from $10,000 to $35,000 apiece. He kept up this frenetic pace until illness slowed him down, ultimately taking his life in 2003. Over the course of his life, Herbert Abrams produced over 400 portraits of some of the most famous Americans in recent history. His legacy includes portraits of Connecticut Governors Grasso and Meskill put on display at the State Capitol; a portrait of Senator Howard H. Baker hung in the Capitol Building in Washington, DC; a portrait of astronaut Buzz Aldrin hung at West Point, and portraits of former presidents Jimmy Carter and George H. Bush that reside in the White House’s presidential collection. “C-Span: Protrait of Jimmy Carter.” The White House, 2013. Link.